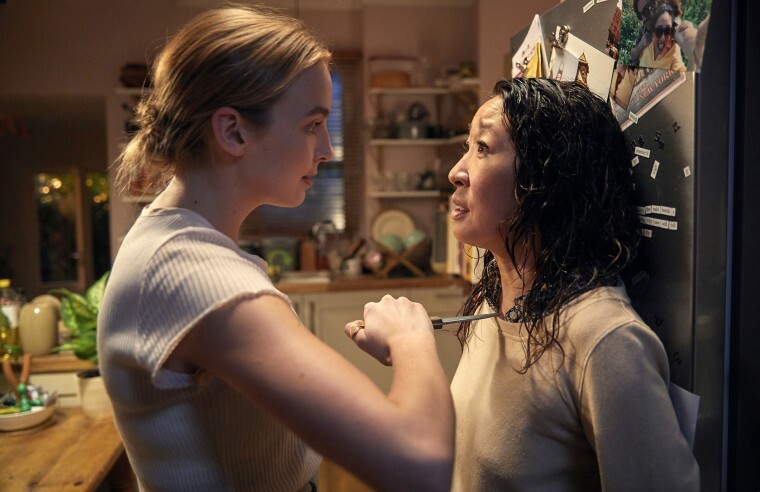 The "Killing Eve" season three announcement comes just one day after the premiere of the show's highly-anticipated second season. "Killing Eve" has been picked up for a third season with a new showrunner. The news comes just one day after the premiere of the show's highly-anticipated second season. The first season aired on BBC America, while season two is being simulcast on both BBC America and AMC. "We love having this show and the brilliant Sandra Oh, Jodie Comer and Fiona Shaw on our networks," said Barnett. "Phoebe Waller-Bridge and Emerald Fennell have delivered two addictively entertaining seasons. As we did last year, we're renewing Killing Eve right out of the gate, now with Suzanne Heathcote as lead writer, as a sign of confidence — we adore this show as much as our fans do. 'Killing Eve' doesn't do anything in a templated way; we love giving opportunity to three genius women to make their mark." Based on the "Codename Villanelle" novellas by Luke Jennings, the third season will be executive produced by Sally Woodward Gentle, Lee Morris, Phoebe Waller-Bridge, Gina Mingacci, Damon Thomas, and Oh. Jeff Melvoin also joins as an executive producer on season three. In its first season, Oh won a Golden Globe, SAG Award, Critics' Choice Award and Dorian Award. Jodie Comer received the Royal Television Society Award and Broadcasting Press Guild Award. "Killing Eve" received the TCA Award for "Best New Show" and the Gotham Award for "Breakthrough Series." "Killing Eve" is produced by Sid Gentle Films Ltd. for BBC America and distributed by Endeavor Content. CORRECTION (April 8, 2019, 5:50 p.m. ET): An earlier version of this article misstated the name of a new executive producer of "Killing Eve." He is Jeff Melvoin, not Jeff Mevloin.